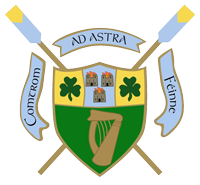 Congratulations to UCD Sports Scholarship recipient Dave Neale on winning the Offaly Sculling Ladder, bringing home the first title of the new rowing season. Dave finished the 2,250m course held on the Grand Canal just outside Tullamore in a time of 8:53, with a winning margin of 4 seconds over the very promising Junior18 and local lads Peter Grogan in 2nd and Dave’s younger brother, Andrew Neale in 3rd. Dave also held off the challenge in the Senior category from Danny O’Dowd (Galway RC) who finished in 4th place overall.